This article shows you how to invite and manage your colleagues into your airline within Yieldr Air. 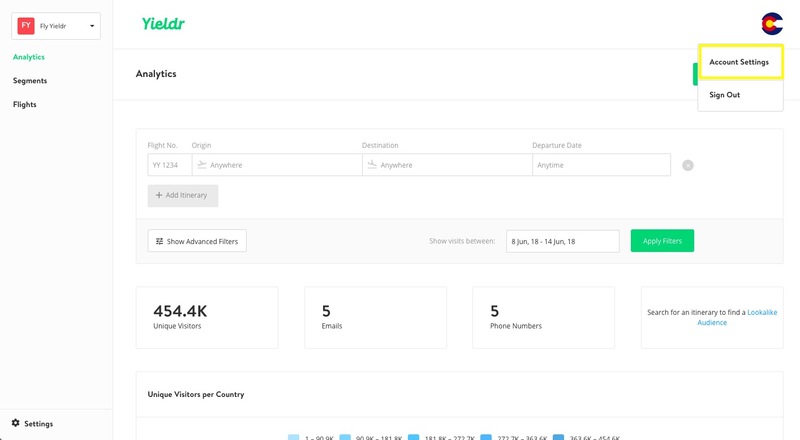 Once you have created your account and added your airline to Yieldr Air, inviting team members to collaborate with is simple. First, click on the circle icon on the upper-right part of the screen, then select Account Settings. From here, click on Team Members on the panel on the left of the screen. This brings you to the page where you can invite new members to Yieldr Air. If you are the owner of your airline's account, you can also change team members account status. 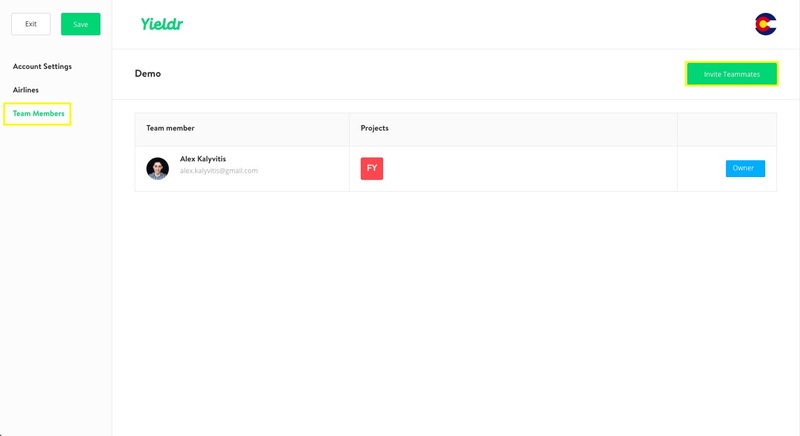 If team members have been invited but not yet activated their account, it will display "Pending" below their name and email in this screen. If you would like to invite new team members, click the Invite Teammates button on the upper-right part of the screen. From here you can add your colleagues to your airline account. To simplify the process, you can add multiple people at the same time. 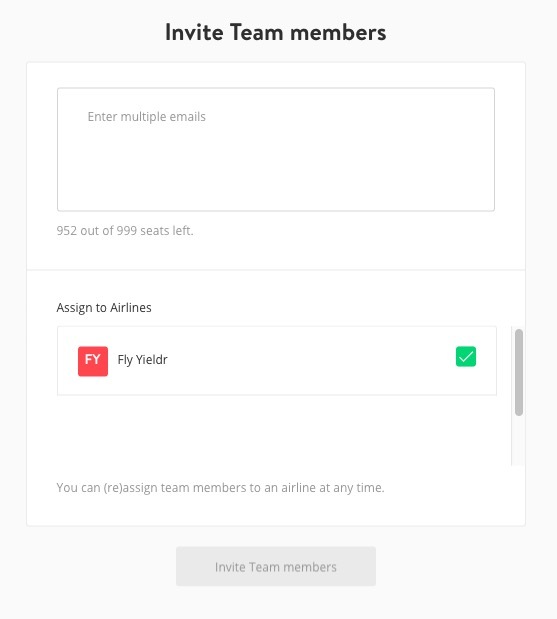 Once you click Invite Team members, they will receive an email with instructions on setting up their account. If you are experiencing issues with inviting team members, click on the green chat button on the bottom of the screen, or get in contact with your customer success manager. If and only if you are an account owner, you can also remove team members by hitting the delete button.